Annie's Organic Cowgirl Ranch Dressing, 8oz. 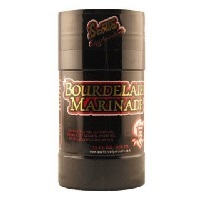 Field Day Organic Balsamic Vinaigrette, 8oz. Field Day Organic Classic Italian Dressing, 8 oz. Field Day Organic Ranch Dressing, 8oz. Field Day Organic Goddess Dressing, 8oz. Lemonette Tangy Basil Salad Dressing, 12 oz. 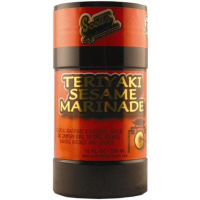 Lemonette Zesty Cumin Salad Dressing, 12 oz. Organic Girl Salad Love Lemon Agave Vinaigrette, 8 oz. Organic Girl Salad Love Pomegranate Balsamic Vinaigrette, 8 oz. 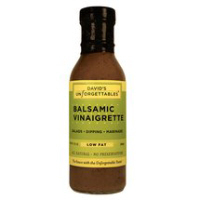 David's Unforgettables Balsamic Soy Ginger Vinaigrette, 12oz. David's Unforgettables Low Fat Balsamic Vinaigrette, 12oz. 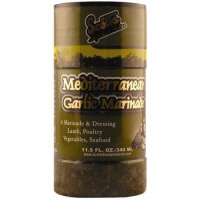 Mark & Stephen's Fig Balsamic Vinaigrette, 12oz. Mark & Stephen's Pomegranate Vinaigrette, 12oz. Follow Your Heart Organic Vegan Caesar Dressing, 12oz. Follow Your Heart Vegan Ranch Dressing, 12oz.